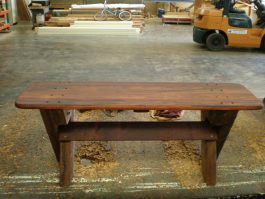 The 2 Seat Backless Cypress Outdoor Timber Bench makes a welcome addition on a narrow verandah as having no back it takes up less space. 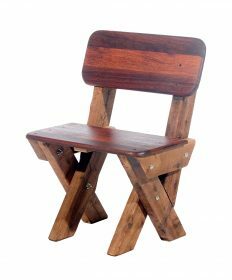 Use it to sit and take your shoes off after a day in the garden – a handsome seating choice for your outdoor area. Our 2 Seat Slat Back Cypress Outdoor Timber Bench looks great in the garden, on a deck or verandah, and as part of an outdoor setting. 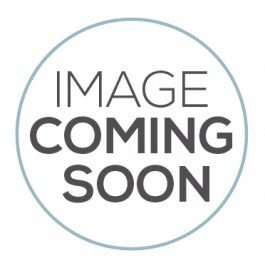 The 2 Seat Slat Back Cypress Outdoor Timber Bench is also an economical way to seat children who often prefer sharing a bench rather than sitting alone on an individual chair. 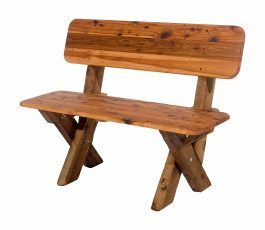 The 2 Seat High Back Cypress Outdoor Timber Bench provides a charming place for two to sit. Perfect for your porch or patio, the bench will not blow away in gusty winds! 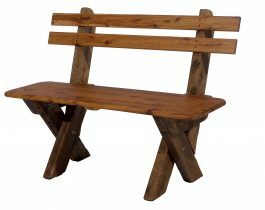 The 2 Seat High Back Kwila Outdoor Timber Bench is the perfect way to greet your visitors as they enter your backyard or garden. The bench has a angled back panel to enhance comfort. Its sturdy construction will give you years of enjoyment. Benches are great at seating more around a table than single seats – you get more butts around – but what a lot of people comment is benches are restrictive to get out of if there’s more than a couple sitting on them – everyone has to get up to move. 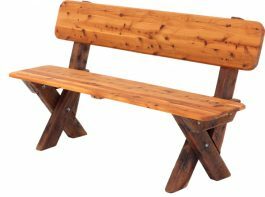 If you consider a backless one like the 2-3 Seat Backless Cypress Outdoor Timber Bench it’s much easier to just swing around & get out because there’s no back on them. Especially awesome for families with kids – just pile them on! 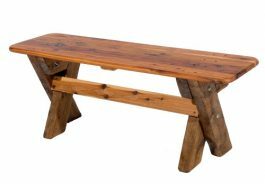 The 2-3 Seat Slat Back Cypress Outdoor Timber Bench will add rustic charm to any outdoor area. Benches are a wonderful alternative to a set of chairs. Timeless and ergonomic, this STM 2-3 Seat High Back Cypress Outdoor Timber Bench is among our most popular styles. It seats up to three people. 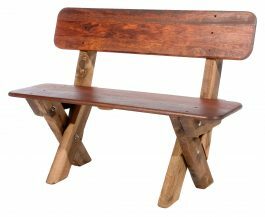 Part of the robust Solid Timber Man range, and made of Cypress timber, this outdoor bench is built to last for many years.